Since I try to “mix it up” in the kitchen with new recipes each month, it’s always fun to look back over the year and determine the recipe standouts. 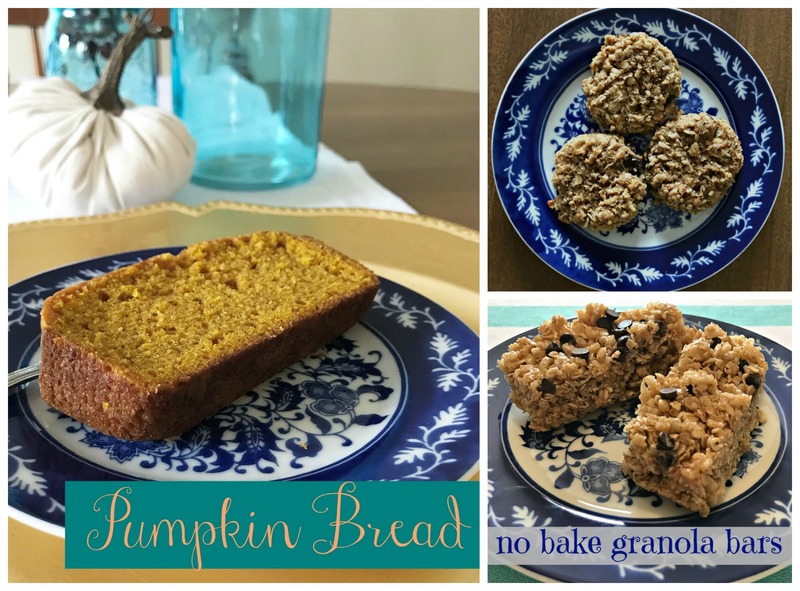 I scrolled through this year’s recipe blog posts and found the recipes that I’ve made multiple times. Most of these recipes have been made at least five times this year! It’s so nice to have a handful of new dishes to add to my meal planning rotation – it makes it even easier to put together a menu each week. Here are the game changing recipes of 2017! Breakfast Cookies – So filling and easy to make! These freeze really well – I only pull out a few at a time to keep them from getting dried out. No Bake Granola Bars – I haven’t purchased one box of granola bars since making these in January! They are such a delicious, healthy alternative! Easy Beef Enchiladas -I’ve also used the same method with chicken and green enchilada sauce – so good! 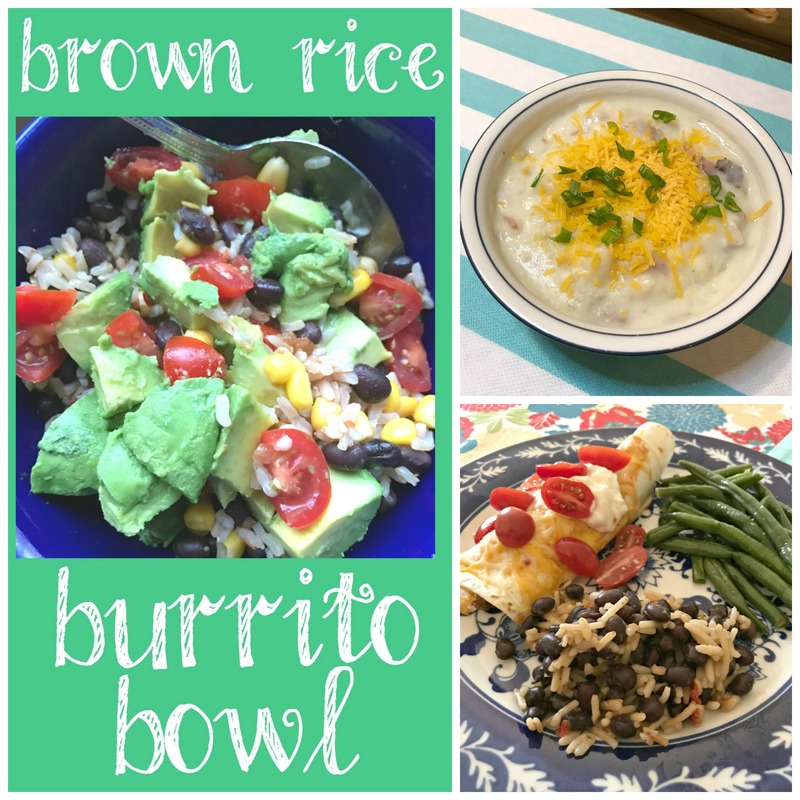 Brown Rice Burrito Bowls with Zesty Lime Vinaigrette – My favorite easy supper! Baked Potato Soup – This is just the best and easiest potato soup EVER. 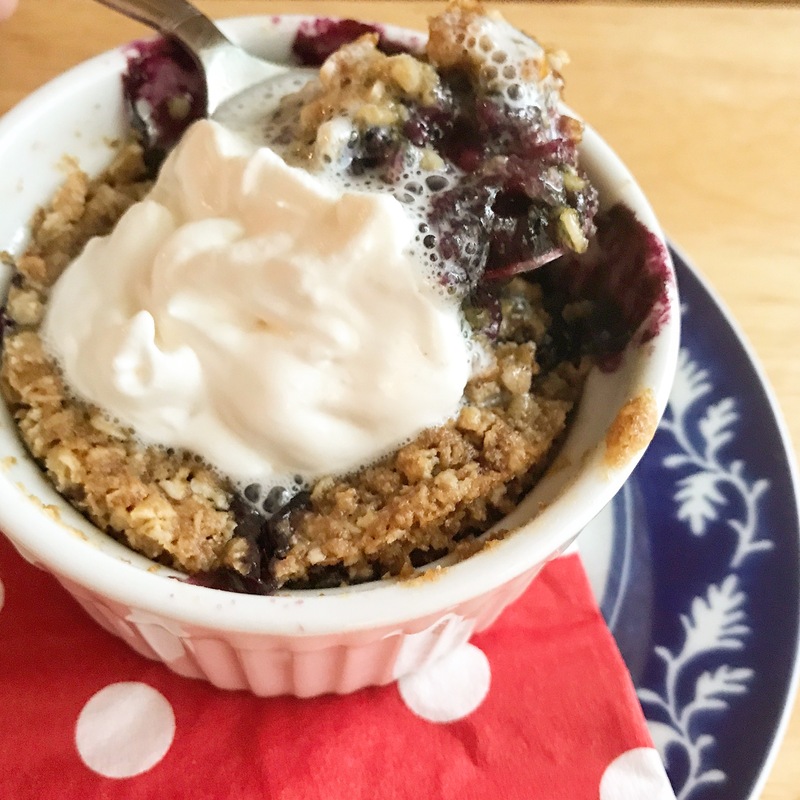 Individual Berry Cobbler – this is the only dessert recipe I made multiple times in 2017. It’s so good, so quick and easy – and I love that you can just make one serving! And that’s a wrap on 2017’s new recipes! Have you tried any of these? Did you discover a game changing recipe this year? I need to try your cobbler! In the summer, we enjoyed using fresh mozzarella in a variety of dishes. Our favorite was adding it to Suddenly Salad Classic, with avocado and tomatoes, and grilled chicken…..yum! We also liked adding fresh basil, the mozzarella, and tomato slices to our sandwiches with chipotle mayo. So good! That cobbler is SO good – you will love it! Thank you for sharing! I make the no bake granola bars all the time too. They are so easy and better for you. Can’t wait to try a couple other of the recipes you listed above. I love those granola bars! Hope you enjoy the other new recipes as well! I found that the weather really makes a difference in how well these set up – rainy, humid days are not good days for making granola bars!